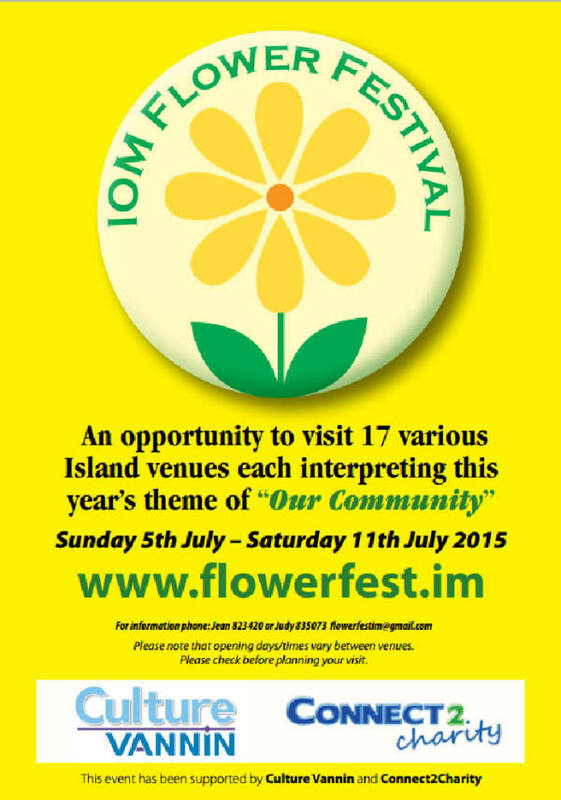 The Isle of Man Flower Festival is an annual, week-long event which has established itself as a firm favourite in the summer calendar, with thousands visiting churches and other participating venues to view the displays during Manx National Week. In 2015, 17 venues took part in the Flower Festival, including churches, Manx National Heritage sites and a joint project between Milntown and Bunscoill Rhumsaa. Culture Vannin provided support towards the printing costs of festival brochures, which were distributed free of cost to the public.